When choosing a dentist, your oral health should be your top priority. This doesn’t mean your comfort should suffer. A dentist equipped with digital technology can provide more comfortable and accurate treatments. But just what is “digital dentistry”? With the addition of digital technologies, dentists can provide better, more accurate diagnoses and treatments for their patients. Many of these technologies also provide a platform where multiple dentists can collaborate to resolve challenging cases. The most frequently used digital dental tools are CAD/CAM restorations, digital radiography, digital impressions, implant placement imaging, digitally-based surgical guides, and computerized case presentations. Digital dentistry is beneficial for both patients and dentists. It’s a faster, cleaner, and quicker alternative to traditional methods. Most methods of digital dentistry are supported by computerized tools and software, which translates into patients spending less time in the chair and experiencing less discomfort. Digital methods allow dentists to get more accurate results than when using other, more antiquated methods. The benefits of digital dentistry are numerous. Digital methods are faster. Dentists can complete their screenings, evaluations, and data collection much faster than if they were doing traditional methods. Impressions, for example, are faster and cleaner when done with a 3D scanner. The traditional alternative would be to use goopy impression material, wait for that to set, and then create a model using the inverse of the mold. When factoring in drying time and patient discomfort, this method is clearly inferior. 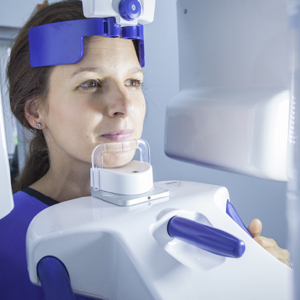 When using a 3D digital scanner, a dentist can get the same information almost instantly. Digital dentistry is the way of the future. Be sure to choose a dentist well-equipped to provide this cutting-edge service. Choose the highest quality care available for yourself and your loved ones. Choose Chisholm Trail Dental Health for its unparalleled standard of excellence and full-suite of digitally assisted dental services. Comments Off on What is Digital Dentistry?